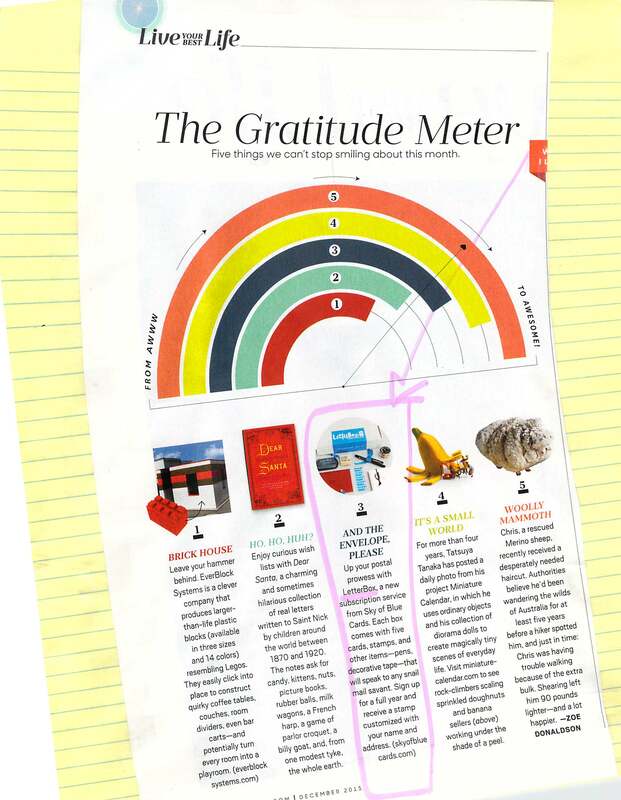 “The Gratitude Meter” from Oprah’s favorites. A great present — for someone who writes cards on a regular basis — could be this “LETTER BOX”. I haven’t ordered one — but I’m thinking of whom might be a worthy recipient. Love that it’s a gift option!